Please join us at our weekly Open House for an introduction to the Boulder Shambhala Center. 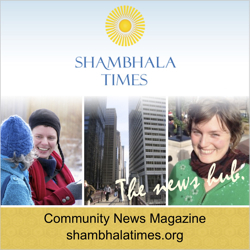 Discover what Shambhala is about and its relevance to our modern lives. After a talk and discussion, we offer meditation instruction, guided practice, and time for questions. Enjoy tea and snacks and a tour of the main shrine room! Free and drop-in. All are welcome.